I recently read an article about the CEO of Schwab and some of his interviewing techniques. He often asks candidates to meet for breakfast. He gets to the restaurant early and promises the server a very large tip if she/he will purposely screw up the candidate’s order. During the interview, he asks the candidate to talk about his/her greatest success and greatest failure. His goal with all three is the same. . . to gain a better understanding of the candidate’s character. Needless to say, all companies are different, as are all interviews. But what I’ve learned is that the good companies—those populated by the kinds of people you’d be proud to call colleagues—all interview with the same three basic components in mind. One is obvious. One a bit less obvious. The third is a key differentiator. Obvious: Can you do the job? Are you more than simply competent? Do you possess the skills to truly excel at the position? Less Obvious: Are you someone with whom others will want to work? Are you an agreeable person? Will you cause any friction or discontent? Smart employers know that there is little room for a prima donna, no matter how brilliant or hard working. If an employee is a jerk and leaves others somewhere between uneasy and downright irritated, then he’s not worth the trouble. Key Differentiator: Are you a person of high moral character? If you make a mistake—a serious mistake—at work, how would you react? Would you easily own up to it, or are you the type of person who might try to cover it up? Worse yet, might you attempt to blame it on someone else? In sticky moral situations, will you be focused on self-interest or on what’s “right,” both ethically and for the company? The true cream-of-the-crop employers are as interested in the answer to this as they are in the answers to the more obvious questions. The Schwab CEO was looking for insight into a candidate’s character. How would that candidate react when the bacon and eggs he’d ordered came out as oatmeal? Would he be disparaging? Or, at the other end of the spectrum, would he not even comment on it? Or, would he very kindly point it out to the server, apologize to the CEO for the distraction, and keep the interview going without missing a beat? In a similar vein, it’s pretty clear what the company with the summer interns was trying to determine. Had any of the interns bothered to interact with the cleaning crew? Did they understand that it’s just as important to know the cleaning woman as it is to know the woman who runs the entire enterprise? The takeaway here is that many factors go into hiring decisions. 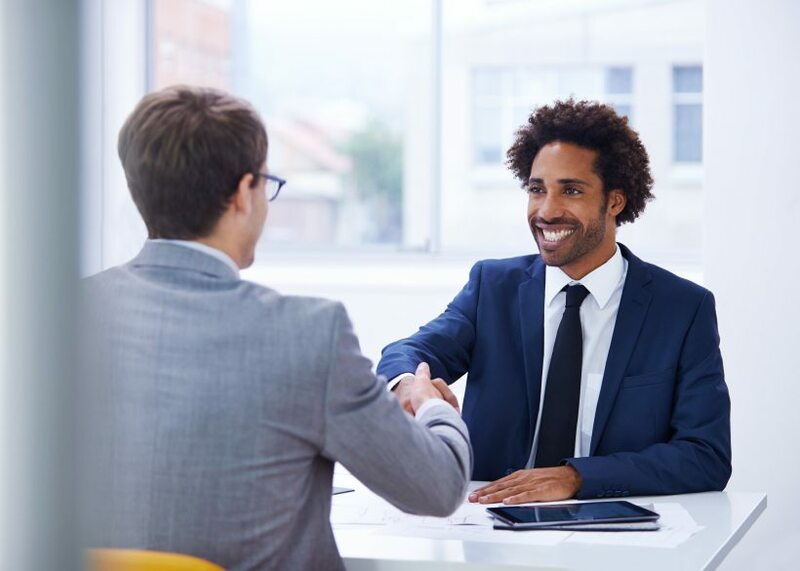 When you connect with a potential employer, remember that every single aspect of your interaction is critical. If you think it’s not important to be nice to the receptionist who greets you when you arrive, think again! I know of many firms that specifically ask every employee who interacts with a candidate for their impressions. And, if you think sending a thank you email or note after the interview is overkill, I urge you to re-think that too! If you have an interview coming up and you aren’t sure how to prepare for the less-obvious areas, email us at bob@epi.coach or give us a call (301-520-9511) and we can role-play some situations to put you at ease.